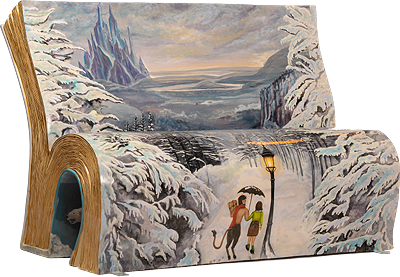 Tabula Rasa: London's Book Shaped Benches - Why am I not there?!? 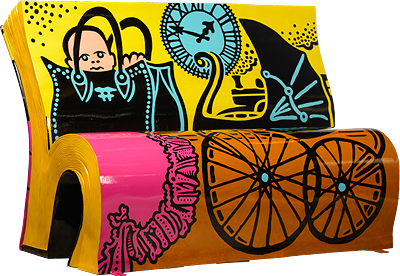 London's Book Shaped Benches - Why am I not there?!? Aren't they delightful? 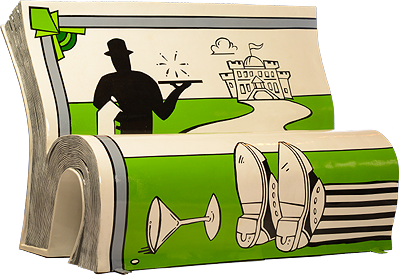 I borrowed these pictures from the official Books about Town website, where you'll find the pictures of all the benches. Of course, there are these pictures submitted by people who stumbled across the benches throughout the city, which are way more fun as long as you can keep yourself from turning green. 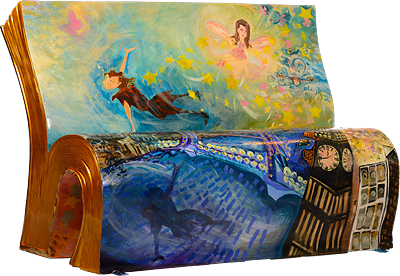 It gets more fun: Guardian lets you vote for the book to feature on the next bench, the 51st. The choices range from the 101 Dalmatians to Adrian Mole, and Harry Potter, who needless to say is in the lead - you can change that with your vote, though I will have you know, I didn't! Anyway, are you thinking what I'm thinking? 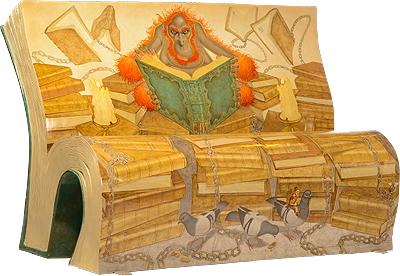 I know, this has brought me whole new ideas about bookish furniture. I see Harry Potter's ahead with 46% of the vote. The benches will be auctioned! Wouldn't it be fun to have one. Divers and Sundry - It would, I'd love one! 46 is even more 'ahead' than I last saw! From Harry Potter, it's to be expected, though.